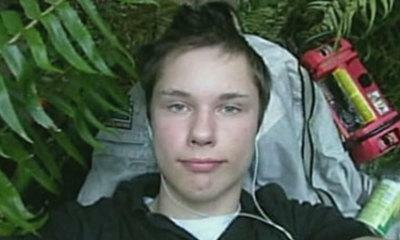 An American man accused of being the serial thief dubbed the 'Barefoot Bandit' will not be allowed to make any money from selling the story of his crimes. Colton Harris-Moore allegedly stole boats and planes and used them to hop from one place to the next as he was pursued by police. The two-year crime spree - during which some offences were reportedly committed barefoot - took place across nine US states, British Columbia and the Bahamas. Appearing in the US District Court in Seattle, he pleaded guilty to a string of federal charges as part of an agreement with prosecutors to resolve the various cases against him. Under the 28-page plea agreement, the 20-year-old agreed to forfeit any profits, intellectual property and life story rights from his crimes. US attorney Jenny Durkan said: "Mr Harris-Moore's flight from justice has ended. "He will spend a significant amount of time in prison and he will not make a dime from his crimes." Harris-Moore, who grew up on an island north of Seattle, is suspected of committing more than 80 burglaries, thefts and other crimes after escaping from a juvenile detention centre in April 2008. Many of those cases involve stolen boats and planes that he allegedly used to escape authorities. He is accused of flying one stolen aircraft around 1,000 miles from Indiana to the Bahamas last year. It was there that he was finally captured by Bahamian police, who shot out the engine of a boat in which he was trying to make a getaway. He has been indicted on a total of six counts including interstate transportation of a stolen plane, boat and a gun and being a fugitive in possession of a firearm. Harris-Moore also faced charges of flying a plane without a pilot's licence and burglary of an automated teller machine. He faces a maximum sentence of six-and-a-half years in prison and could have to pay more than £865,000 ($1.4 million) in restitution when he is sentenced in October.